A free public information seminar about Heart Disease hosted by the Bon Secours Cavan Clinic with Dr Susan Connolly will take place in the Kilmore Hotel in Cavan on Wednesday 24th April 2019 at 7pm (Registration from 6.30pm). Heart disease describes a range of conditions that affect your heart. 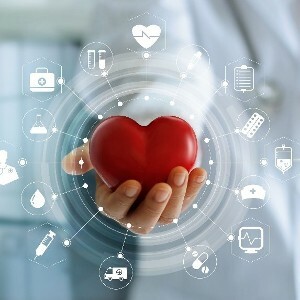 Diseases under the heart disease umbrella include blood vessel diseases, such as coronary artery disease; heart rhythm problems (arrhythmias); and heart defects you may be born with among others. Heart disease is currently the cause of one-third of all deaths and one in five premature deaths in Ireland and these figures are predicted to dramatically rise in the coming years. If you would like to learn more about Heart Disease, the associated risks and how to lower your risk of heart disease than this informal presentation with Dr Susan Connolly will be of benefit to you.